Femicide in Mexico has been brought to light since the beginning of the 1990s when Ciudad Juarez witnessed the killings and disappearances of hundreds women and girls in the state of Chihuahua. However, despite international attention and strong condemnations, which the Inter-American Human Rights Court considered as one of the main responsible of the killings-, the situation of femicide in the country has worsened. The concept of femicide has been highly debated by feminists, scholars and international organisations, having almost a collective consent that femicide can be understood as ‘the killing of females by males because they are females’. 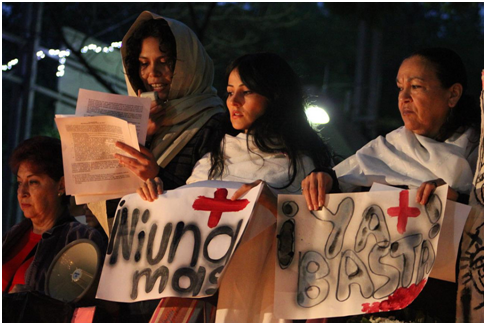 Femicide is usually perpetrated by men, and in some rare cases, other females may be involved. When compared to male homicide, femicide is generally committed by partners or former partners, and involves domestic ongoing abuse, threats or intimidation, sexual violence or situations in which women have less or fewer power and resources than their partner. The situation of femicide in Mexico more accurately reflects what Marcela Legarde (former Mexican government representative and Chair of the Special Commision on Femicide) described as ‘a crime of the state which tolerates the murders of women and neither vigorously investigates the crimes nor holds the killers accountable’. The spread violence across the country in the last decade, aggravated by economic crises and inequality, has a direct impact on violence against women, which comprises a wide range of physical and physiological undermining acts. Comprehensive measures to eradicate these acts and behaviours have not been adequately implemented and collecting data on femicide in the country can be quite challenging, as police and medical data-collection entities do not have the necessary information, or in the worst cases –which is actually extremely common-, is highly manipulated and used as political propaganda. Human rights groups and international organisations highly differ with official statistics on femicide. Some academics even argue that at this point, one of the greatest challenges in Mexico’s fight for gender justice is to come out with real numbers of what has been going on since Juárez in 1990. Several actors are involved in the process of gathering information, from local media to international NGOs, to investigative agencies and human right bodies, which all agree that the crime of femicide has severely increased in all 32 states of Mexican territory. In a 23-year period which witnessed the crucial struggle for gender equality policies, public awareness, creation of commissions and agencies to monitor women’s human rights, and most importantly, the fight over the criminalisation of femicide in national legislation have not yet reach their ultimate goal since Juárez. On the contrary, it has gotten worse. 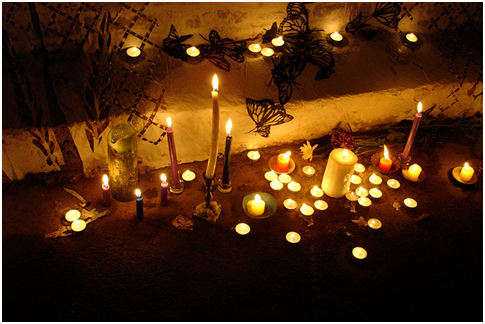 Femicide in Mexico has increased by around 55 per cent between 1990 and 2011. The easiest way to come with an approximate number is through the analysis of statistics per state taking into account different sources from a variety of actors. Let us focus for example on the case of the state of Mexico, in which our now President Enrique Peña Nieto was then governor and in which between 2005 and 2011, around 4.379 women were killed. These figures show that femicide in the state of Mexico only was ten times higher than Ciudad Juárez during the same period of time. 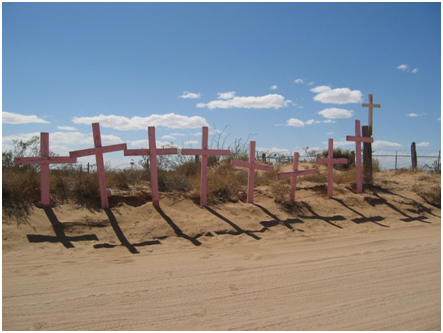 In 1990, a woman in Ciudad Juárez was killed every 12 days, and by 2011 a woman was killed every 20 hours. In the state of Sinaloa just in 2010, over 110 women were killed out of 100.000 female inhabitants. Baja California -which was widely known for its 0.0 rates in killings of women between 1990 and 1992- reported 3.9 murders of women only in 2011, while Durango witnessed the killings of 15 in 2010. Morelos –which was the worst state to be a woman in 1999- had a rate of 5.1 and by 2012, it was 6.3. One of the most shocking cases is the state of Nuevo León, which in 2001 had a rate of 0.4 and by today, it records a total of 9.2 women murdered out of 100.000 female inhabitants, meaning that in 13 years femicide is 23 times higher. The NGO National Citizens’ Observatory on Femicide says that in 17 out 32 states the crime may increase in the next five. Femicide continues despite judgments from international tribunals, reports and condemnations by international organisations, and will keep on as a matter of urgent concern in a country already facing high levels of insecurity and widespread violence. Patriarchal based-systems of inequality and exclusion, as well as a systematic pattern of impunity, are a reflection of the lack of access to justice. Closure is far from being reached to those who have lost their women and girls not only in the mentioned states, but in also in in Oaxaca, Tamaulipas and even my home, Jalisco. Various international human rights mechanisms have issued several recommendations, and the government adopted a legal framework to ensure the right of women to a life free from violence and discrimination through the General Law of Access for Women to a Life Free of Violence in 2007. However, the Mexican government failed its legislation through the alteration or lack of information; frequent absent cases of violence against women presented before the National Bureau of Data and Information; or having the National System to Prevent, Sanction and Eradicate Violence against Women to discard situations of emergency in relation to the killings of women in the state of Mexico and others, and in the worst cases, not even publicly acknowledge the alarming situation of femicide in the country which clearly violates its constitutional obligations and international human rights law instruments. Mexico needs to revise its codification efforts in criminal codes at the local levels, which would represent a breakthrough that allows the crystallization of the problem, facilitate the development of prevention and sanctioning mechanisms, as well as providing justice to thousands and thousands of victims. Penalties for crimes committed against women, represent the biggest challenge to overcome femicide in local criminal codes. And lastly, Mexico needs to overcome its critical and alarming impunity-based system, in which human rights are severely undermined. It seems that in over 20 years violence against women has suffered major setbacks, despite the government's 'progressive administrations' and positive international discourses. Eradicating mass killings of women and tackling impunity are not part of the government’s agenda. Us women do not feel protected or secure, we live in fear in is in fact one of the most dangerous countries for us to be.